The European Union should not be afraid of Syriza winning the Greek election, but see it as a chance to rediscover its founding principle: the social dimension that created it and without which it cannot survive, writes Marianna Fotaki. 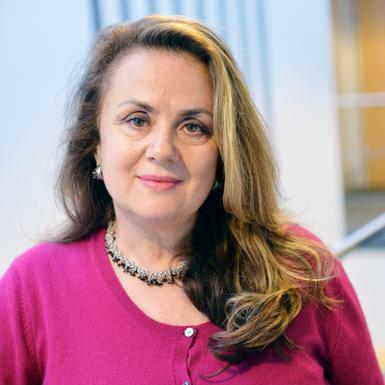 Marianna Fotaki is Professor of Business Ethics at Warwick Business School. Greece’s entire economy accounts for three per cent of the eurozone’s output, but its national debt totals €360 billion or 175 per cent of the country’s GDP and poses a continuous threat to its survival. While the crippling debt cannot realistically be paid back in full, the troika of the EU, European Central Bank, and IMF insist that the drastic cuts in public spending must continue. But if Syriza is successful – as the polls suggest – it promises to renegotiate the terms of the bailout and ask for substantial debt forgiveness, which could change the terms of the debate about the future of the European project. It would also mean the important, but as yet, unaddressed question of who should bear the costs and risks of the monetary union within and between the eurozone countries is likely to become the centrepiece of such negotiations. The immense social cost of the austerity policies demanded by the troika has put in question the political and social objectives of an ‘ever closer union’ proclaimed in the EU founding documents. Formally established through the Treaty of Rome in 1957, the European Economic Community between France, Germany, Italy and the Benelux countries tied closely the economies of erstwhile foes, rendering the possibility of another disastrous war unaffordable. Yet the ultimate goal of integration was to bring about ‘the constant improvements of the living and working conditions of their peoples’. The European project has been exceptionally successful in achieving peaceful collaboration and prosperity by progressively extending these stated benefits to an increasing number of member countries, with the EU now being the world’s largest economy. Since the economic crisis of 2007, however, GDP per capita and gross disposable household incomes have declined across the EU and have not yet returned to their pre-crisis levels in many countries. Unemployment is at record high levels, with Greece and Spain topping the numbers of long-term unemployed youth. There are also deep inequalities within the eurozone. Strong economies that are major exporters have benefitted from free trade, and the fixed exchange rate mechanism protecting their goods from price fluctuations. But the euro has hurt the least competitive economies by depriving them of a currency flexibility that could have been used to respond to the crisis. Without substantial transfers between weaker and stronger economies, which accounts for only 1.13 per cent of the EU’s budget at present, there is no effective mechanism for risk sharing among the member states and for addressing the consequences of the crisis in the eurozone. But the EU was founded on the premise of solidarity and not as a free trade zone only. Economic growth was regarded as a means for achieving desirable political and social goals through the process of painstaking institution building. With 500 million citizens and a combined GDP of €12.9 trillion in 2012 shared among its 27 members, the EU is better placed than ever to live up to its founding principles. The member states that benefitted from the common currency should lead in offering meaningful support, rather than decimating their weaker members in a time of crisis by forcing austerity measures upon them. This is not denying the responsibility for reckless borrowing resting with the successive Greek governments and their supporters. However, the logic of a collective punishment of the most vulnerable groups of the population, must be rejected. The old poor and the rapidly growing new poor comprise significant sections of Greek society: 20 per cent of children live in poverty, while Greece’s unemployment rate has topped 20 per cent for four consecutive years now and reached almost 27 per cent in 2013. With youth unemployment above 50 per cent, many well-educated people have left the country. There is no access to free health care and the weak social safety net from before the crisis has all but disappeared. The dramatic welfare retrenchment combined with unemployment has led to austerity induced suicides and people searching for food in garbage cans in cities. A continued commitment to the policies that have produced such outcomes in the name of increasing the EU’s competitiveness challenges the terms of the European Union’s founding principles. The creditors often rationalize this using a rhetoric that assumes tax-evading, unproductive Greeks brought this predicament upon themselves. They are seen as the undeserving members of the eurozone. Such reasoning creates an unhealthy political climate that gives rise to extremist nationalist movements in the EU such as the criminal Golden Dawn party, which gained almost 10 per cent of Greek votes in the last European Parliament elections. Explaining the euro zone debt crisis as a morality tale is both deleterious and untrue. The problematic nature of such moralistic logic must be challenged: one cannot easily justify on ethical grounds forcing the working poor to bail out a banking system from which many wealthy people benefit, or transferring the consequences of reckless lending by commercial outlets to the public. Nor can one explain the acquiescence of creditors to the machinations of the nepotistic self-serving corrupt elites dominating the state over the last 40 years that got Greece into the euro zone on false data and continue to rule it. As I have argued, the bailout money was given to the very people who are largely responsible for the crisis, while the general population of Greece is being made to suffer. Greece’s voters are determined to stop the ruling classes from continuing their nefarious policies that have brought the country to the brink of catastrophe. But in the coming elections their real concern will be opposing the sacrifice of the futures of an entire generation. (Really? The rules for joining the Euro were stretched and bent repeatedly almost to breaking point at the time of its inception with little thought for the consequences). The problematic nature of such moralistic logic must be challenged: one cannot easily justify on ethical grounds forcing the working poor to bail out a banking system from which many wealthy people benefit, (Little thought was given to ordinary working people who were excluded from the Commissions calculations as certain nations undercut others by the creation of internal tax havens) or transferring the consequences of reckless lending by commercial outlets to the public ( ah light touch financial regulation to fund national programmes which were unaffordable.) . Nor can one explain the acquiescence of creditors to the machinations of the nepotistic self-serving corrupt elites dominating the state over the last 40 years that got Greece into the euro zone on false data and continue to rule it. (An elite in Greece and also in the EU which connived in the process to support their own ambitions) As I have argued, the bailout money was given to the very people who are largely responsible for the crisis, ( both in Brussels and Greece), while the general population of Greece is being made to suffer.